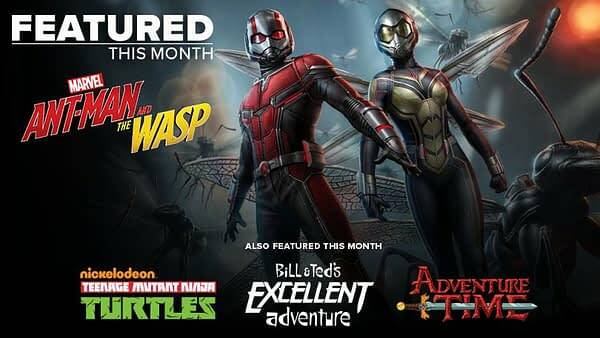 The Loot Crate subscription title for July is dubbed Team-Up with Ant-Man and The Wasp (still not released until August in the UK) and friends. 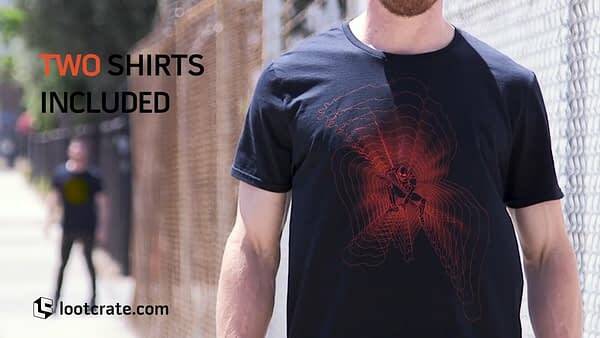 And it seems that in the standard crate for the first time, there will be two shirts. One Ant-Man and one Wasp. 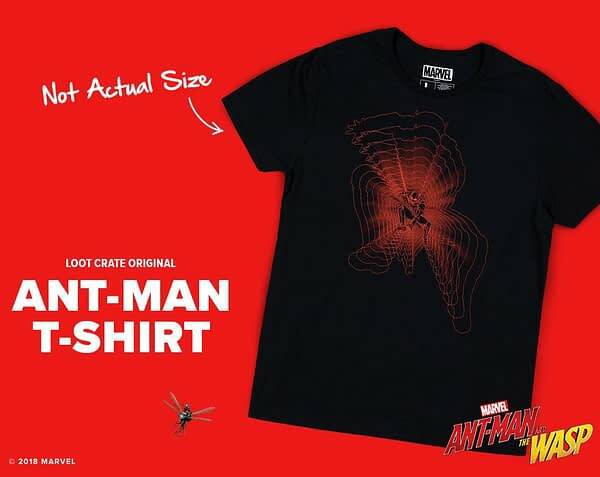 Loot Crate has revealed the first of those shirts (and probably the second if you squint). What the Turtles, Bill & Ted and Adventure Time items are, we have yet to learn. If you want in, you have a couple of days left to sign up — use the code BLEEDINGCOOL at this link to get added discount for Bleeding Cool readers.